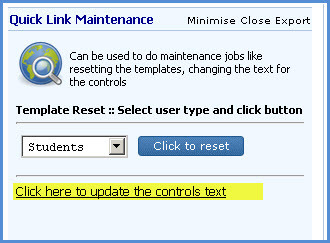 PCSchool now provides the ability for schools to customise the title and description displayed for each control using the Quick Links Maintenance. 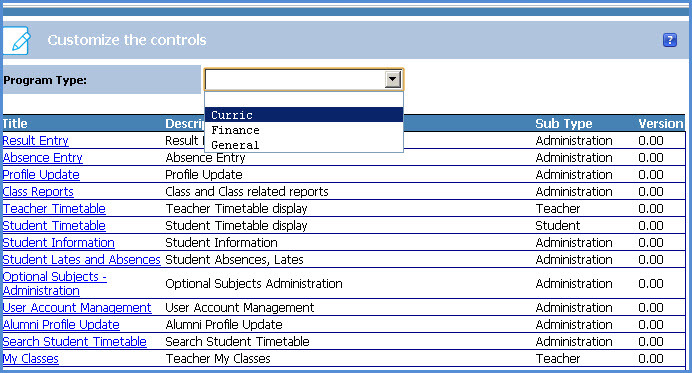 Once you click on this, you get the interface where it loads all the available controls for your spider. Click on the title, to edit and change the text. Once saved, the next login should load this new content.